Canadians love their Tim Hortons coffee. We all know that. In fact, we’re crazy for the stuff. It’s part of our culture. So, when a scam purporting to be offering “thousands” of $25 Tim Hortons gift cards starting spreading like wildfire last Saturday on Facebook, it didn’t take a Nobel-winning scientist to figure out that it wasn’t going to stop until someone did something about it. Finally, after several hours of Facebook users constantly posting and reposting the links promising a chance at a gift card if they filled out a survey and/or wrote something nice about Tim Hortons, the scam went dead after likely getting killed by Facebook itself. How can you tell a scam? It’s pretty easy. First of all, with more than 750 million users on Facebook, it’s highly unlikely that any popular company would offer gift cards. 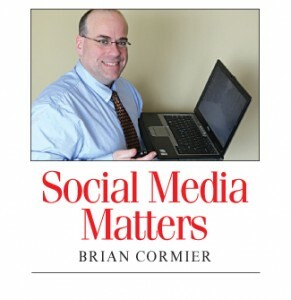 The resulting mayhem would just clog everyone’s newsfeed and end up annoying more people than not. It would be like Justin Bieber showing up at a 12-year-old girl’s birthday slumber party and no one noticing. Ain’t gonna happen. Also, check the link. 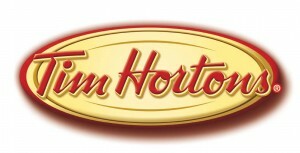 There was a multitude of links being used in the scam that had nothing to do with Tim Hortons’ official site. They were clearly fake. The logo on one site I saw was blurry, too. That would never happen on a real site. It would be 100-per-cent professional and look great. These looked cheesy. 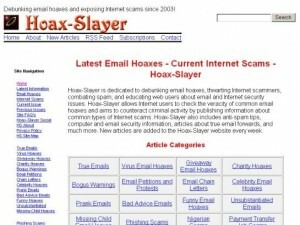 Here’s a list of some recent hoaxes courtesy of one of my favourite sources, Hoax-Slayer. – Brighton child abduction: A warning is circulating through social media channels – especially Facebook – about an attempted child abduction in Brighton, Ont. Someone in a black or dark blue Dodge van attempted lure a young student into the van using another 10-year-old child as a lure. The hoax caused so much grief that local police were forced to issue a news release stating that the claim was unsubstantiated. – Facebook prayer request for baby found in bin: If you spend any time on Facebook, you’ve likely seen the terrible photo of a hospitalized baby wearing a diaper and hooked up to monitors and various tubes. Covering the baby boy’s body are hundreds of terrible, red ant bites. Sadly, this was not actually a hoax, but it has a happy ending. The baby – who has since been named Caleb Hope – was found in a dump in Bloemfontein, South Africa, on Saturday, Sept. 24. Police are investigating the baby’s cruel abandonment (obviously, he was left to die), but Caleb is reportedly doing well and is recovering. A permanent home is being sought. Medavie Blue Cross is looking for a digital communications lead to be based out of either Moncton or Dartmouth. The deadline for applications is Monday, Oct. 24, so don’t delay if this interests you! According to the role summary posted to the CareerBeacon employment search website, the job details are as follows: “Reporting to the Manager, Corporate Communications and Stakeholder Relations, the Digital Communications Lead will manage a small team of digital communications professionals and oversee the development and execution of an online brand strategy, including the corporate website, employee Intranet and social media.” For more specific details on the position, visit CareerBeacon. Each week, I feature three YouTube channels that you may want to check out. Because of the Tim Hortons scam issue on Facebook, I decided to feature coffee-related channels this week. Subscriber numbers and video view statistics are as of Oct. 21.